IYour home is your haven, which is why your home security starts at your front door which surely has safety equipment, right? Such as a lock and a deadbolt. There are lots of options on the market offering you many different kinds of security locks for your home security but how do you cut through the clutter of lock lists and choose the best lock suitable for your needs? This article will help in guiding you on choosing the right door lock suitable for your home which would fit rightly for the needed protection and security your family needs to be able to live comfortably and without any fear. Surely, you would want you and your family safe. So, here is the list of things that you should know to pick the right kind of lock to secure your homes and family. There are several types of locks that you could choose for your home. However, there are only two main types of locks that are commonly used for the front door houses, and these are deadbolts and knobs/levers. Generally speaking, both of these locks are found at the front and back doors. Mr. Winardi, a locksmith, said that knobs and levers are secondary security. The deadbolts are still the most preferred lock when it comes to securing your home and is considered the primary security feature. This lock has a few more options to consider than the padlocks and is usually installed on external doors. Deadbolts come in three primary varieties which are the single, double, and lockable thumb turn. Used as a key cylinder outside and a thumb turn on the inside, this single cylinder deadbolts are often found mostly on American homes. However, there is a flaw in this security equipment. The door can be opened using a thumb turn and access to the inside is possible. On the other hand, the double cylinder, which uses a key inside and out of the door, also has a flaw and poses a problem during a fire or any emergencies as it needs a cylindrical key. Lastly, the final type of deadbolt is a hybrid between the double and single deadbolt. This type of deadbolt is called as a lockable thumb turn. It works like a standard single cylinder but can be locked using a key so it cannot lock or unlock a door. This type of lock is used as the primary source of security for the door and is installed frequently in residential situations on exterior doors. However, using this as a security for the external doors is incorrect, since, in almost all setups, an individual can easily break the door off with bypassed pliers or a hammer. Thus, consider replacing your knob lock with simple passage knobs. Whatever your reason for buying home door locks, always think of it thoroughly to guarantee you and your family’s security along with the things that are important to you. While most of the time, some people put style first before function, it is essential to take the opposite approach when choosing your home door lock. You can only consider a lock good if it is as good as its quality. You should opt for the functionality of your chosen door lock to avoid any occurrences that may harm you and your family or the things that are deemed valuable to you. So, keep in mind that there are three main functional categories for a home door lock, these are privacy, passage, and entry. The first step in choosing a lock is defining its primary function. Why? Functions help determine the level of endurance and security your lock needs to sustain. For example, your front door is the main entrance to your house, this requires the utmost high-level protection a homeowner needs, unlike the hallway or interior doors which doesn’t need a higher level of security. The endurance of your door lock is a matter of grade. Lock grading ranges from Grade 1 to 3. Confused? 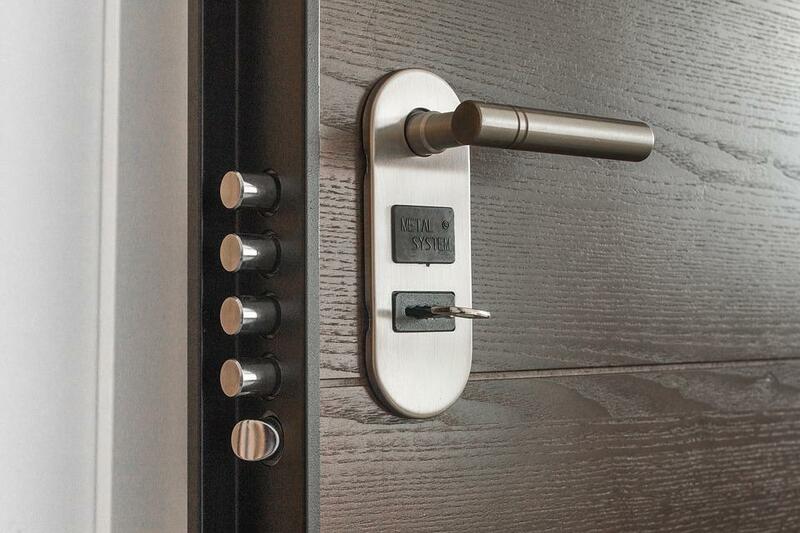 Here’s an example, the residential deadbolts range in Grades 1, 2, and 3, with 1 being offered as the highest level of security followed by Grades 2 and 3. Thus, when you’re out to buy your door lock, remember to ask for its grade to make sure you get the kind of security you need and want. Style should be the least of your concern in choosing your door lock; you should only consider the aesthetics just if you have completed the first 2 steps in determining the door lock for your home. Just like how you ask for things you aren’t good at to the people who specialize in it, you should also consider asking for professional help from a LocksmithMan when choosing your door lock to ensure you get the best quality and security a lock could offer.